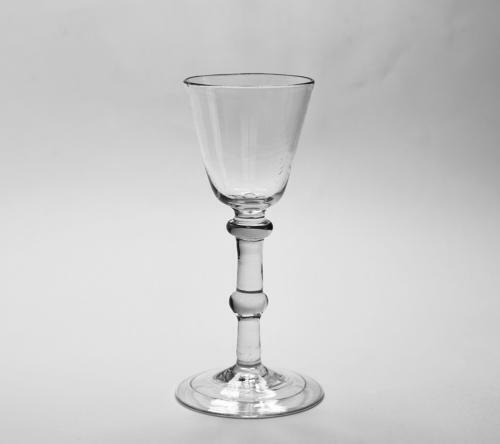 Balustroid wine glass with round funnel bowl, shoulder and centre knops and folded foot. English C1740. Note: There is a tine seed on the edge of the rim See photograph.